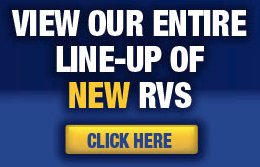 Get a real deal on the RV of your dreams at Wilkins RV No RV Show Sales Event now through January 22nd! Don’t be “showed” into paying too much for your next RV. Get the best “No Show” deal at Wilkins RV! Cover other expenses that go along with the show, carpet, banners, print material, etc. 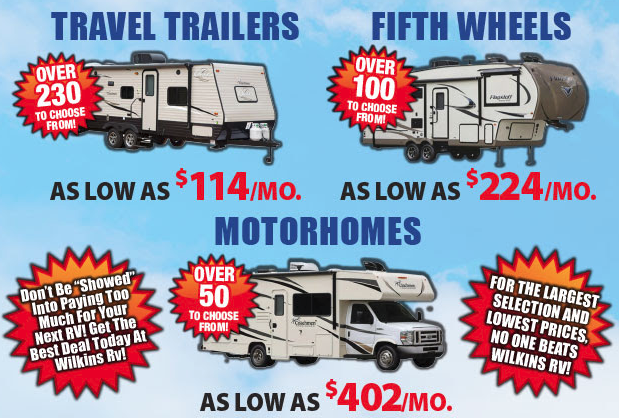 At Wilkins RV, we have proven that by avoiding all of these costs, we can pass these savings on to you and offer the best price on the RV of your dreams! 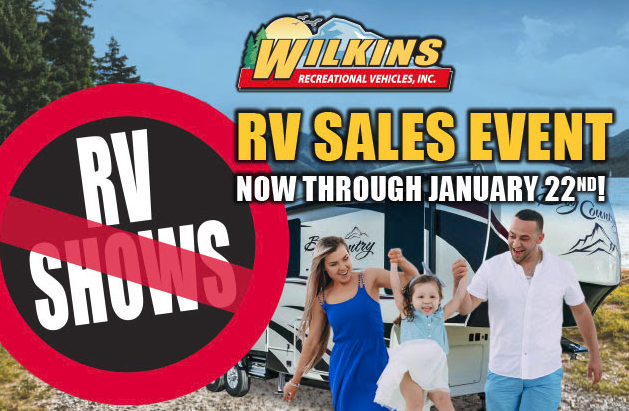 Visit us at one of our convenient Wilkins RV Locations any day between now and January 22nd (including Sunday, January 14th and 21st) and take advantage of special No RV Show sale pricing and incentives. With low monthly payments on the best brands of Travel Trailers, Fifth Wheels, Motorhomes and more, you can enjoy your dream vacation the minute camping season begins. 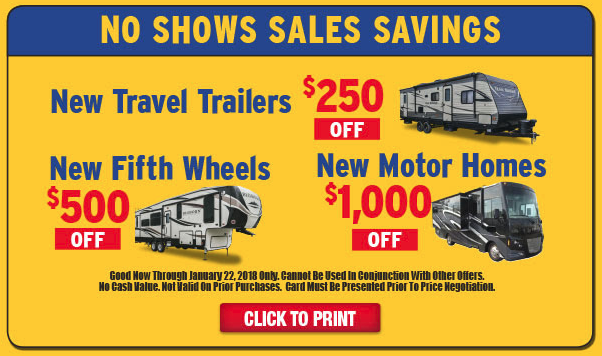 *see dealer for terms In addition, get an extra $250 Off a New Travel Trailer, $500 Off a New Fifth Wheel or a whopping $1000 Off a New Motorhome! 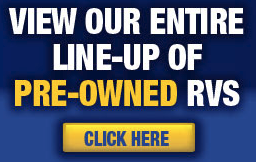 Present this special RV Sale Coupon at the time of your purchase. With over 700+ New RVs and Pre-Owned RVs to choose from, you are sure to find just the right RV to suit your specific travel needs. This year, skip the RV show hustle and visit the Wilkins No RV Show Sales Event for a great deal! We are committed to giving our customers the absolute best RV purchase experience around. But don’t wait, these special sales incentives are only available until January 22nd, so Contact Us today!